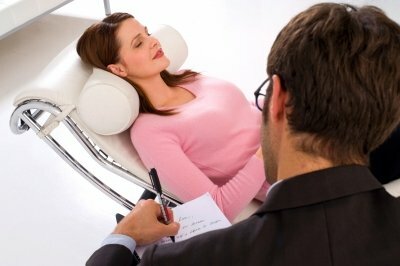 Why do so many people succeed with hypnosis for stopping smoking? After all, most stop smoking programs fail for people. The statistics from so many studies show people revert to smoking after attempt after attempt to stop with traditional programs such as the patch, drugs, laser or acupuncture. Stopping smoking with hypnosis is different from all these programs. True, you have to work with a competent hypnotist. But people do stop smoking for three important reasons when they use hypnosis to help themselves. Control and remove your cravings for cigarettes. Develop new ways to manage your stress that are as good or better than smoking ever did. Over the years as the Consulting Hypnotist at the Queen Elizabeth Health Complex in Montreal I have heard many “reasons” from smokers as to why they can't give up. I understand that most of them come from the fear of not being able to imagine how they will handle life without cigarettes. Some people have given up trying to become non-smokers because they think that they do not have the “will-power” necessary to succeed. The good news here is that hypnosis does not rely on so call willpower to succeed. It addresses the issues that drive you to smoke in the first place. Have gone to see a movie. You decide that you will promise not to smoke for a couple of hours because you would rather see the movie. Go on a flight. You decide you would rather get to your destination and decide not to smoke for however long the flight is for. Go to sleep. You decide you would rather sleep than smoke for however many hours. If you can decide not to smoke for 5 or 6 hours, with the help of hypnosis you can extend that period to a long, happy and healthy life- time of being non-smoker. And when you think about how you can already decide to not smoke when you prefer another activity or outcome even more, another importnt myth about smoking is revealed. You body is not dependent on the nicotine in cigarette. Otherwise you could not already go without it for the periods you already decide not to. It has been a psychological addiction not a physical one. Not that I underestimate the power of that. After all, years ago I used to smoke before I used hypnosis to become a happy non-smoker. I know what it feels like myself. Often people report to me about not liking the feelings that they became aware of inside themselves when they tried to stop smoking before. Fortunately hypnosis can help you let go of those feelings. That is one of the reasons that this program produces permanent results instead of other techniques that only help in the short term if at all. Smokers tell me they worry about getting their hopes up about becoming a non-smoker only to be disappointed again. As I tell my clients, of course, nobody likes to feel disappointed. But how disappointed will you feel if you get to the end of your life and you haven't given yourself this chance that others are succeeding with. At the end of the day, there is only one way to become a non-smoker. And that is to decide you are never, ever going to smoke again. Be assured, using hypnosis will not make you stop smoking but if you have decided to stop smoking, then hypnosis can help you in ways you probably never imagined. The bottom line to face up to is this – if you do what you've always done, you'll go one getting what you've always gotten. If on the other hand you give yourself a chance with hypnosis you can expect something different and begin to move on with your life at last. As with everything else in life; the choice is always yours. If you are interested in using hypnosis for stopping smoking you will find more important information and resources here. 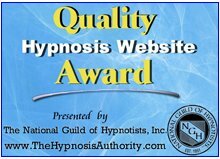 Return from Hypnosis for stop smoking to the Home page here.